Fig. 3. 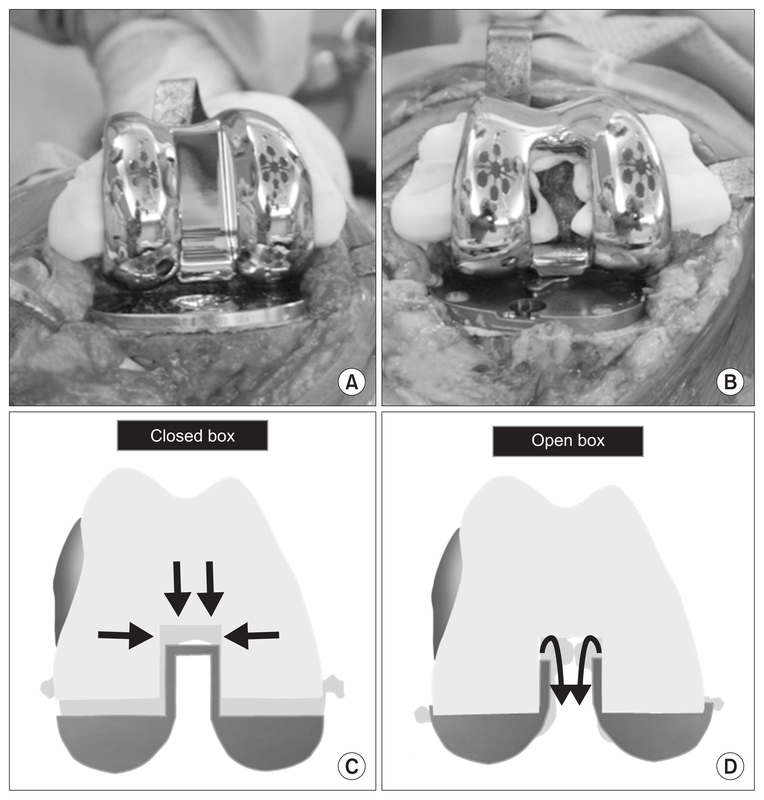 (A, B) Cement leakage from the periphery of the closed box type implant and from the periphery and central box of the open box type implant. (C) Less cement leakage in the box area (arrows) can prevent compression of the femoral component in the case of closed box type implant. (D) Cement can easily leak (arrows) and the implant can be compressed in the case of open box type implant.